J.K. Rowling is the author of the seven Harry Potter novels, which have sold over 450 million copies and have been translated into 79 languages, and three companion books originally published for charity. She is also the author of The Casual Vacancy, a novel for adults published in 2012, and, under the pseudonym of Robert Galbraith, is the author of the Cormoran Strike crime series. John Tiffany directed “Once” for which he was the recipient of multiple awards both in the West End and on Broadway. Tiffany was Associate Director of the National Theatre of Scotland from 2005 to 2012, and was a Radcliffe Fellow at Harvard University in the 2010-2011 academic year. Jack Thorne writes for theatre, film, television and radio. Harry Potter is back! He is forty years old, married to Ginny Weasley, father of three children (James, Albus and Lily) and works at the Ministry of Magic. Nineteen years has passed since we last heard about him. Over these years, Harry has become more insecure about relationships. He constantly fears the loss of loved ones. He is fighting an everyday battle to let go the past and make peace with the present. In this constant struggle, his son Albus who feels unloved and unworthy to be a son of the celebrated Boy Who Lived. He believes that his father’s glory lurks like a shadow around him. His misery is further accelerated when the Sorting Hat announces that he belongs to Slytherin. He isolates himself from everyone, hates the magical world and hates his “Potter” identity even more. His only solace is Draco Malfoy’s son Scorpius who is also struggling with his own problems – estranged father, dead mother and a disturbing rumor. 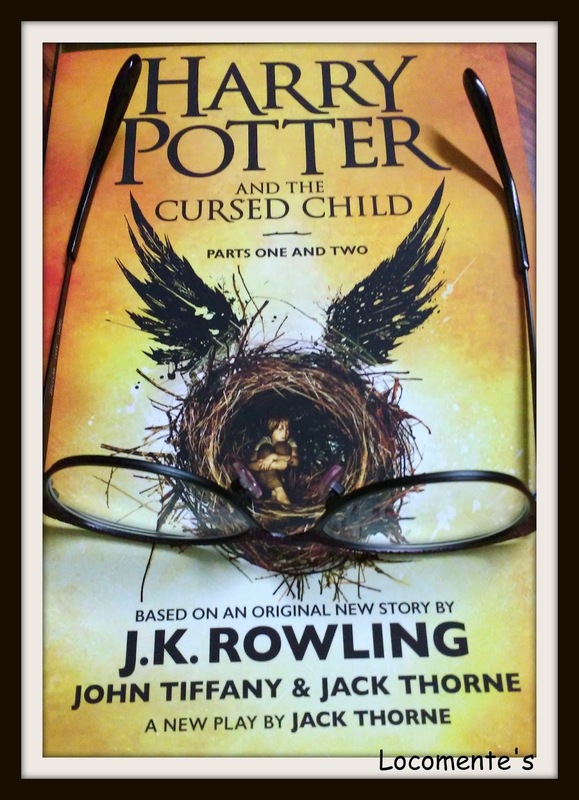 Harry Potter and the Cursed Child, 8th instalment in the Harry Potter series, beautifully deals with complex relationships – between friends, father-son and past-present-future. It also hints the importance of parenting and also letting go. It is a story of growing up and facing the reality as it is. It rightly hints that with great power comes great responsibility and such responsibilities could be both overwhelming and stressful. On one hand, Ron’s funny one-liners will make you laugh and the moments between Hermione and Ron is funnier. Hogwarts continue to fascinate us and Sorting Hat still holds its charm. On the other, the friendship between Albus and Scorpious reminds of Harry, Ron and Hermione. The book is presented in a play format; so it is mostly dialogs. It lacks the vivid descriptions of the magical world that we are used to. However, thanks to the prequels in which we have seen JK Rowling building that surreal world with her words. Now, we know that magical world like our own. It is largely based on the Harry Potter and the Deathly Hallows. But, there is not a single second that could be boring and redundant. In fact, this is more gripping and filled with many unexpected twists and turn. At the end, I can assure that we would close the book with the hope to read another one soon. I don’t think we could ever have enough of Harry Potter and his magical world! 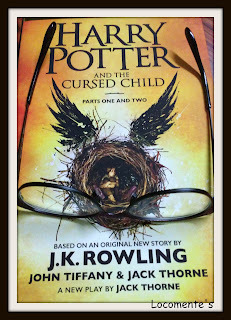 In short, Harry Potter and the Cursed Child is an assured page turner. I see many talking about this but I have no clue . Get it. Read it. You will also have clue! this book is making pple crazy! I will read it sometime, great review! Thanks Ankita... I was among that list of people too! Harry Potter is the soulmate of people.